Gaming Central: Congratulations on the release of your new game, Blyss, and on getting featured on the AppStore. Tell us a bit about the game. 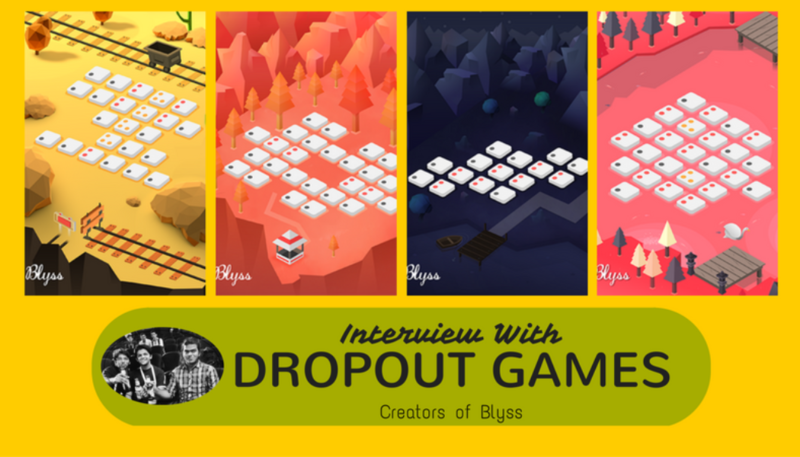 Dropout Games: Blyss is an elegant puzzle experience. It’s an endless game with a simple concept, surrounded by ambient themes. Each theme has its own handpicked music and is created with an intention of providing a varying range of emotional experience to the player. It’s a casual puzzler with a simple and serene premise. You’re provided with a set of tiles on your game screen and you’re supposed to clear those tiles. It’s achieved by swiping the blocks in sets of 3s and 4s. GC: We really liked your previous game, UNWYND, which was also a puzzle game. What inspires you to make puzzle games? DG: I guess we have a thing for puzzle genre. We’ve tried to stick to the genre as much as we could due to our familiarity but we’ve also wanted to expand our horizons as developers. You’ll definitely see more vibrancy in the kind of games we make. GC: How did you come up with the concept of Blyss? DG: The concept of Blyss came to us when we were wrapping up UNWYND. We were also scribbling our notebooks, trying to come up with something unique and simple but interesting as well. To be honest, we just kind of stumbled upon the concept while trying to attempt something else. GC: What challenges did you face while developing this game? DG: One of the biggest challenges we faced during the development was a technical one. It was easy to make levels for Blyss but it was tedious and time consuming. After our experience with UNWYND, we knew the game needed a lot of content. We were trying to reiterate our level design and were looking for ways to increase replayability. We eventually came up with the idea that helped us design an algorithm. With this algorithm, we could spawn infinite levels without compromising balance or difficulty. This was a much needed personal breakthrough for us and it changed the entire gameplay. It did take a good amount of time, though! GC: What is the USP of the game, Blyss? DG: Blyss aims to provide a serene and calming experience. It’s a simple puzzle game that aims for long lasting gameplay sessions and a chilled out mood. It does that successfully. That, we believe is the USP of the game. GC: Let’s talk about your studio and you. Tell us about the “Dropouts”. 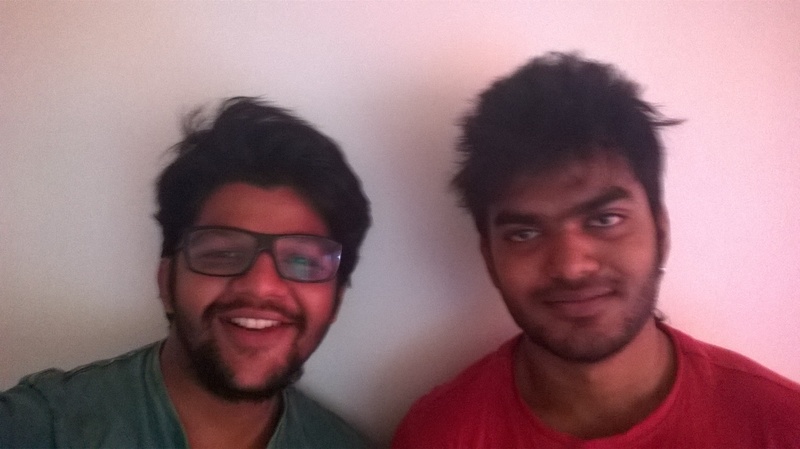 DG: My Co-Founder Sujeet and I had met at DSK Supinfogame, one of the top institutes that teaches Game Design in India. We were classmates there. Thing had become chaotic during our second year at DSK and hence we dropped out. Couple of months later, Dropout Games was formed. The two of us developed our first game UNWYND, which you already know about. UNWYND released and we got our fair share of critical and commercial success. Eventually, while working on Blyss we expanded the team and added an artist. He also happens to be one of our Ex-DSK classmates and a fellow dropout. Sujeet, Saurabh and I worked on the Blyss. Before finishing Blyss, we’ve also added Siddhesh, our newest member to the team. He’s not a dropout, unfortunately. GC: When and why did you start developing games? DG: One thing that’s common between us gamers is our love and passion for games. I was always fascinated by the whats and hows of a game’s functionality. Joining a game design college seemed like the right thing to do. 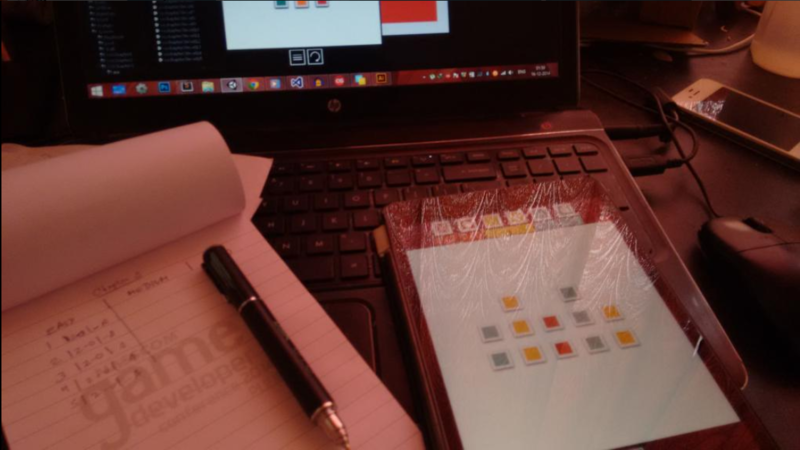 My first ever game was made during my college days along with Sujeet and a bunch of other people, including our good friend Chirag Chopra, Founder & CEO of Lucid Labs. It was called ROTO and it was made as a 24 hours Game Jam prototype. The game had received a lot of critical acclaim and a nomination at Casual Connnect’s Indie Prize Awards. It eventually saw an Android and iOS launch with the help of a Malaysian publisher. From that point forward, there was no turning back for us. GC: As Indie Game Developers, what challenges do you face, especially in the Indian market? DG: We’ve never really considered making games for a specific country. The challenges we face are more of internal development related challenges. Where Indian market comes in is the sales equation. And to be honest it’s nonexistent when it comes to sales. Mass majority of gamers in India doesn’t pay for the best of AAA gamers, preferring piracy over buying original copies. Smaller studios like ours don’t even fall into this equation. The only thing that sells in India properly is the hardware, mainly due to that fact that people can’t pirate that. It’s sad but it’s true. Hopefully, the mindset will change in next 10 years or so. Hence, we channel most of our focus and energy towards wooing the Eastern and Western audiences that are accustomed to the idea of paying for games and it works well for us. GC: After developing your games, how do you market them? DG: For the games we’ve self-published, most of our marketing revolves around social media and free marketing channels. If we’re going with a publisher, which might happen for Blyss’ Android version, then the publisher would take care of the marketing for us. DG: I’ve met a lot of people that have been in the business of creating games for years, still struggling to find their footing. My advice to the up and coming would be to scrutinize the industry, find their place, get the necessary skills and then take the necessary step. To know more about Dropout Games, visit their site. Download Blyss on Apple App Store.